Master slider has a track view so you can manage the timelines of your slides. If you are a visually oriented person you might just like this one the best. Add your high quality images in the super clean looking admin panel. The UI was a bit cleaner looking than the other two but not by much. You get everything you need from this slider creation tool. It’s a good bet if you are looking for an easy way to build some cool layer based slides. A lot of themes have this plugin bundled so make sure and remember that if you are looking for a new theme as well. Many beginners like the visual slide builder because it’s intuitive and gets their slides up pretty quickly. This is especially true if you are into audio or video editing. You feel right at home with the slide builders UI. You will enjoy the track view so you can see individual slide behavior on a timeline. This is an all-purpose slider plugin. If you haven’t figured it out by now, an all-purpose plugin usually means that you are going to have a ton of options. This responsive slide creation tool lets you customize just about every aspect of the animation effects. Slider Revolution’s WYSIWYG interface that makes it easy for beginners to dive right into building beautiful slides in real time. When you edit a slide you will get another set of options and settings to change. Take a few minutes to you get acclimated to the editor and you’ll be creating eye popping slides in no time. What makes this slider so handy is its use of layers. You can add layers to make just about any slide you can think of, adding great animations to your display. The best thing about slider revolution is it’s simple editor. I found it more intuitive and faster to master than the other two. Let’s move on to my favorite of the 3, Layer Slider shall we? Layer Slider produces some jaw dropping animations that look great on a desktop or mobile devices. The beauty of this plugin really is its versatility. You can animate your slides in almost any way imaginable. Rotate, scale or fade your way into the hearts of your visitors with some great animation effects. Easily embed videos to auto play in your display. Make your website look rich and expansive with the Parallax effect. Since most sliders increase load time to all developers’ detriment, Layer Slider offsets that with alternative loading options. This premium WordPress plugin it’s very responsive and can be added to any page to add some cool visual effects that make your site look awesome. Which one is the best? To be honest they all provide similar in features and functionality. You can get just about the same results from each of these plugins. The user interface for all three is pretty much what you’d expect from the plugin. They all have basically the same options with slightly different admin layouts. All three are optimized for both desktop and mobile, multisite compatible (at an extra cost), use shortcode, are SEO friendly and contain a laundry list of options. You might not like my answer but it’s as honest as I can get. I personally like the backend of LayerSlider, but mostly because the UI had a lot of options that I could play with, which I love. Many users prefer Slider Revolution for that same reason, so it’s still a toss up. I’d say Master Slider had the cleanest, most simple UI of the three. Beginners will really enjoy the visual timeline on the slide builder page. If you are looking to add high res pictures to add some dazzling displays and effects to your site, you’ll be happy with any one of these sliders. Below I’ve created a comparison table outlining the features of each of these plugins. As you can see they share many of the same features. Your page load time will take a hit if you add too many animation effects in your slider, especially for visitors with a slower connection. This isn’t specific to Slider Revolution though, this is an issue with all sliders. Many developers don’t like adding too many slides to their homepage for this reason. All three of these sliders give you similar functionality so I suggest you check them all out. It’s easy to quickly put up cool looking slides on any page. Some people complain about problems with their slide display but this usually occurs because people don’t understand the basics of working with sliders. You can avoid this by checking out the demo content and consulting the documentation. If there’s anything lacking with this plugin, you can make up for it with some custom CSS coding. Below are some pros and cons of slider plugins in general. All in all these three plugins were pretty great. 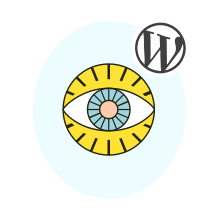 I’m still learning my way around the backend of WordPress and I am always striving to be a better than average WordPress user, so if I can do it, so can you. These all were some pretty cool premium WordPress slider plugins that helped me get my ideas up fast. There’s no need to spend time rebuilding the wheel and build these sliders from scratch. I was impressed at how easily I was able to bring out my creativity. If you want to get fancy with the text, you have the option to add custom CSS styles. The live preview lets you see changes in real time so you won’t have to jump back and forth between the site preview and the editor. There are some pre-made examples to give you an idea of how to import your slides as well. Each one of these sliders can help you build quality slides on your site. Where they differ is in terms of workflow. For functionality and flexibility I choose LayerSlider because you can easily do alot from within the UI. If you are looking for something super simple that is very intuitive, I’d choose Slider Revolution. And last but not least I’d go with Master Slider if you enjoy a clean User Interface with a efficiently organized menu panels. Remember though, your site is unique and you should definitely take these plugins out for a test drive before you decide on which on is best. That’s right your site is just that special. To find out which one works best is ultimately up to you. As with all plugins you’ll have to play around with them a bit to make sure you are comfortable with them. There are many other alternatives to these plugins and you can check some of them out on our WordPress plugins directory. My top pick was LayerSlider because I found it to be a little bit more versatile straight out of the box. To be honest I would be happy with any one of these three and will probably end up using them all at some point. Most WordPress plugins give you the option to test them out for free, through a trial or online demo. Check out Slider Revolution, Master Slider and LayerSlider for yourself and see. You can get a good feel for both of these plugins and see which one fits your taste. Dive into these awesome plugins and add some stunning visuals to your WordPress website. Don’t forget to leave any insight or tips you may have in the comment section. More great slider plugins for WordPress may be found on CodeCanyon. Make sure to check out the latest and trending releases of slider/gallery plugins. Nice analysis and beginner-friendly. Thanks! Thanks for helping me out to choose proper slider. I am going to try Revolution slider for my upcoming project, it looks nice and very flexible. Thank you for putting that together, it was very helpful in making my decision. I want to add one more best WordPress slider plugin that is Avartan Slider. It is one of the best responsive WordPress plugin to create stunning image slider and video slider for your WordPress website.